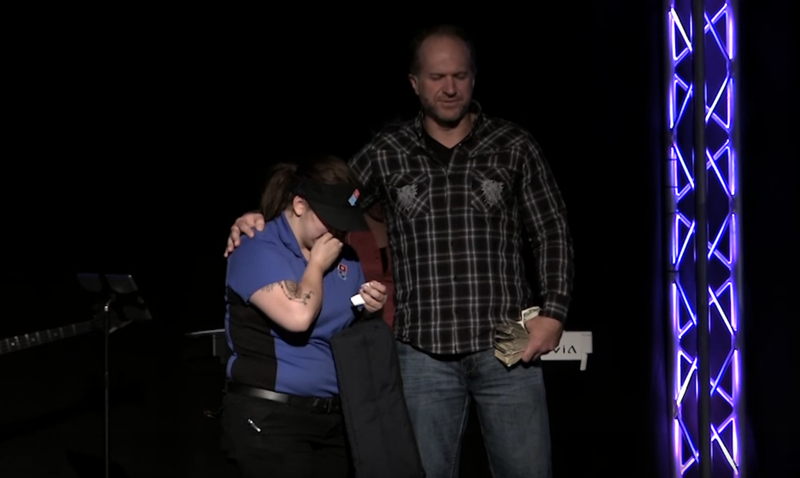 This Church Ordered One Pizza—and What They Tipped Her For It Is Going Viral! 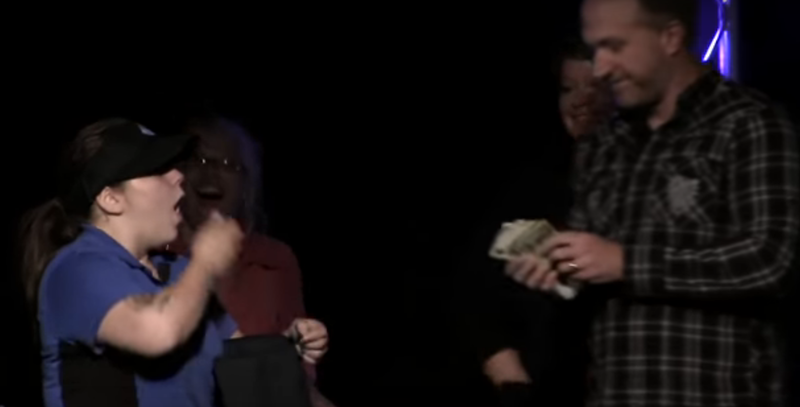 Ohio’s Sycamore Creek Church just did something crazy special for their “I Was Broke, Now I’m Not” sermon series. First, they ordered a pizza for $5.99 from a local Domino’s—quite a small serving for such a large congregation, but the fact that they would each get their choice of either a fourth of a pepperoni or a shred of mozzarella cheese, was not the point. They were hungry for something else…something that food couldn’t satisfy. Pull back. Almost fall backwards. Cover mouth with one hand. And…cover mouth with both hands. Reeeel back in for the embrace. Annnnd THERE’s that hug. Awwwwe. Reverend Markle sent her off with a beautiful prayer from the stage, blessing Natasha and encouraging her to come back to them if there’s ever anything else they can do to help her. 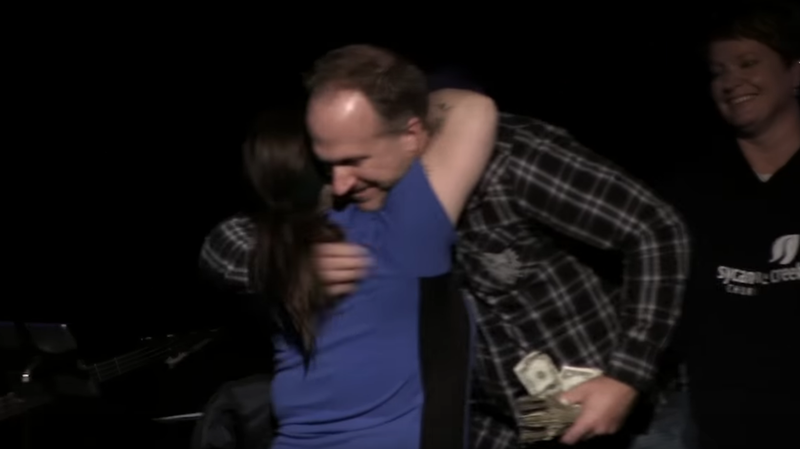 It was a sweet, sweet moment for Natasha, the pastor and especially the congregation who got to see a young girl’s life changed over just a small contribution from each of them. 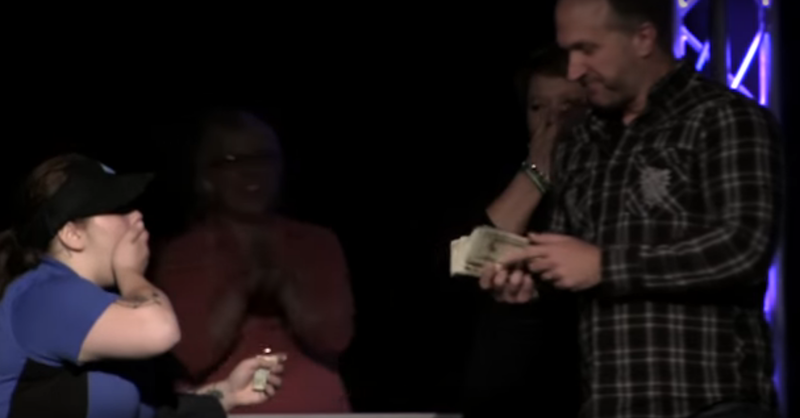 How breathtaking to see a generous gift given in the name of Jesus, with no strings attached. That’s real Christianity.